Australia 21 released its report into illicit substances in March this year. Within it the independent public policy think tank made thirteen recommendations aiming to decriminalise illegal drugs, and to minimise the harms associated with their use. 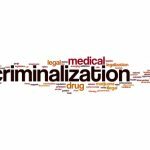 Among its recommendations, the report proposes that law enforcement should be focused on criminal activities associated with illegal drugs, and not on personal possession or use. Another recommendation is that drug testing services be made available at events, such as music festivals. And its second recommendation is that the criminal marketplace should be eliminated by incrementally moving psychoactive substances from the black market to one that is regulated and taxed. Significantly, of the sixteen participants at the Australia 21 roundtable, eleven were former senior law enforcement and law officials, including several ex-police commissioners, and heads of corrective services. Indeed, the report was launched by former NSW premier Bob Carr and ex-Victorian premier Jeff Kennett. And when such senior members of the establishment are calling for a different approach to illicit drugs, it’s yet another sign that the drug war has failed, along with prohibition. 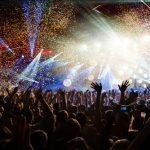 On September 22, the ACT government announced that it had approved the nation’s first legal pill testing trial at a music festival. This marked a significant shift in policy and if successful, it could have an impact nationwide. The pill testing service was set to be trialled at the Spilt Milk festival in November. However, the festival promoters pulled out of the trial shortly before it was set to take place, stating that organisers had failed to supply the correct paperwork. 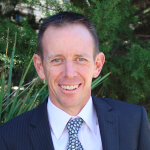 But, according to ACT corrections minister Shane Rattenbury, the trial will still take place, and it’s not a question of if, but when. Currently, the STA-SAFE consortium – the alliance that will carry out the trial – are negotiating to hold it at the Groovin the Moo festival next May. 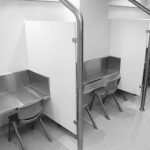 And another positive harm reduction development was when Victorian premier Daniel Andrews approved the North Richmond safe injecting facility in November. This brought to an end a decade-long campaign which had the support of the local community, the police, and Jeff Kennett as well. However, certain Australian authorities continued on with their heavy-handed law enforcement approach to the use of drugs. And nowhere was that more apparent than in the state of Victoria. In April, Victoria police began an operation that saw officers using sniffer dogs in Melbourne’s nightclub precincts. While Victorian police minister Lisa Neville announced in June that she wanted to broaden police powers to search punters at festivals without a reasonable suspicion to do so. 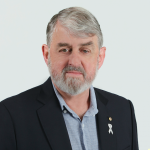 Nick Wallis has long been a harm reduction advocate and campaigner for drug law reform. He’s the presenter of the 3CR’s Enpsychedelia, which is a popular weekly radio program that’s designed to counter mainstream drug narratives and knock down the myths surrounding illicit substances. 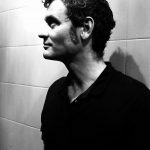 Sydney Criminal Lawyers® spoke to Nick Wallis, co-founder of the Australian Psychedelic Society, about the developments in drug laws and reforms over the last year, his views on a regulated market, and how he’d like to see the nation’s attitudes change to psychedelic substances. Firstly, Nick, you’re based down in Melbourne. It’s been quite a year for developments in drug laws and reforms in your state. On September 7, the state government passed legislation that effectively placed a blanket ban on synthetic drugs. Can you outline what synthetic drugs are? And what sort of synthetics were readily available in Victoria before the ban? So, the blanket ban was on psychoactive substances, and it was done in response to the so-called synthetic substances. The sorts of substances that they were mainly targeting were synthetic cannabinoid receptor agonists, or synthetic cannabis as it was called by the media. These were a whole range of substances. There’s hundreds of them out there, and there’s certainly been hundreds that have been made available on the Australian market over the past seven or eight years. Some of them had caused problems. And those problems had been widely publicised. That’s what partly paved the way for this legislation. But, it’s also something that has happened in the UK, Ireland and a few other places around the world. And it’s been widely condemned as poor legislation that won’t achieve the goals that it sets out to achieve. You’re a vocal critic of these new laws. What sort of adverse effects have they had elsewhere in the world where they’ve been enacted? In Ireland, they did a blanket ban on psychoactive substances in 2010. It’s a different sort of market in Ireland and the UK. Australia, being an island nation, has a different way that its drug black markets work, compared to nation’s where substances cross borders easily. So, what was contended by Irish politicians was a number of the head shops that had been selling these substances started to close down, but the substances themselves did not disappear. They started being diverted to the black market. They were starting to be picked up by people who were dealing in the black market. And they would not necessarily sell them as the substance that they are. But, instead they’d sell them as a substance that people demanded. There are a number of amphetamine-type analogues, and MDMA-type analogues, which ended up being sold on the market as amphetamines or MDMA. This caused a number of problems. And it’s also a reason why pill testing has become much more prominent over the last seven or eight years, because of these adulterants in the market. But, one of the other things that happened was the head shops that did stay open were in competition with the black market. And it started to get violent. There were fire bombings of some stores. Not the sort of thing that we saw in Australia. In the UK, the diversion of substances meant that a lot of the synthetic cannabinoid-type substances ended up being diverted to homeless populations and to prison populations. So, they introduced these laws to ban all these evil substances and they couldn’t even keep them out of the prisons. In June, Victorian police minister Lisa Neville announced she was proposing sweeping changes to broaden the role of police at music festivals, which included providing officers with the power to stop and search patrons without having a reasonable suspicion to do so. What do you think about Victoria police, and indeed, other police forces around the country, continually increasing their heavy-handed policing at events like these? And what sort of effect do you think it’s having? It’s a thoughtless response. It’s this unfortunate law and order rhetoric that we’re getting at the moment, especially in Victoria. But, I’m guessing you’re probably getting a lot of that in NSW as well. This law and order rhetoric doesn’t drill down into what makes good law and order. The discussion around what justice is and how to create it – we’re not having that discussion. A lot of what we are seeing with people like police minister Lisa Neville – attacking mainly the electronic dance music, or doof scene – is scapegoating. It’s little more than trying to find a political reason to look tough, and take an enemy that’s easy. Because the political capital you can gain from small wins on drug issues is huge. And there’s not a lot of hit back, which is something we are trying to change. It’s naive. It’s not something that is ever done in consultation. That announcement came through the Herald Sun’s crime reporter, who had an exclusive interview with her. And when we tried to find out more details about it, there was absolutely nothing. So, she went and started making policy up on the go with the Herald Sun crime reporter. And of course, the Herald Sun is pushing this law and order campaign. It was just appalling. We’ve actually seen nothing more of it, as far as I’m aware. I’ve been checking the bills coming through parliament. In October, the Andrews government made a significant policy turnaround and finally approved a safe injecting facility for North Richmond. What did you think about this development? And do you think it marks a policy shift for the government: away from a zero tolerance approach towards harm reduction? It was the political capital again. They couldn’t say no. It was because of the groups that sprung up in support of the medically supervised injecting centre. One group that I really want to commend is the Victoria Street Drug Solutions, which includes Judy Ryan. They worked very hard over a 12 month period and really managed to get that campaign over the line. A lot of that had to do with changing the narrative on what was happening in Richmond. People starting to see that it wasn’t the usual characters. This was local residents. It was a solution that looked like it could work, and there was evidence in other areas. There’s also something to say about the seat of Richmond being a hotly contested seat between the Greens and Labor. And the Greens were certainly behind the medically supervised injecting centre. We suspect that there were some decisions made behind closed doors about it being a good idea to get on this at that time. It also got announced at the time the Northcote byelection was going on, which was hotly contested between the Greens and the ALP. So, there might have been a bit of politics in that as well. The Turnbull government passed legislation in February last year to set up a local medicinal cannabis industry. In February this year, the Victorian government harvested Australia’s first legal crop. And federal health minister Greg Hunt announced a fast track medical marijuana importation scheme. However, there’s less than 200 patients in Australia that can actually obtain legal cannabis medicines, and there’s still no domestic product available. What do you think about the government’s moves to make medicinal cannabis available to patients? Do you think they’re serious about actually getting the medicine to those in need? They’re semi-serious. The medical cannabis issue has been one that over the past couple of years has attracted huge amounts of media attention. But, what’s actually gone on, in terms of the development of the industry, and the laws that would regulate and create it, is not very much. It’s a lot smaller than the commentary that you hear in the media. It’s a difficult one as well, because of our international obligations with the United Nations. Often, you’ll hear politicians make comments about not wanting to change drug laws because of our international commitments to the UN. A lot of it has also been this fear that if we open it up too much, then all sorts of people could get cannabis. And this idea that we still don’t know enough about cannabis. But, I don’t know what enough is anymore, because we actually know a whole lot. Australia wants to replicate studies here. But, then they make it very difficult for those studies to be replicated. Australian jurisdictions want to make up their own system from scratch, when somebody else has done it perfectly well elsewhere. That’s something that we’ve seen a lot of. And we’re also still dealing with the political fear of the evil weed. The ACT state government approved Australia’s first legal pill testing trial this year, which was set to take place at the Spilt Milk festival. However, promoters pulled out, stating last minute paperwork that was required to hold the trial on land owned by the federal government had not been submitted. You’re familiar with a number of the harm reduction organisations involved with the trial. Why do you think the initial trial never took place? Was it just about the paperwork? The territories have this jurisdictional issue, where they don’t quite have the same power as a state. They’ve got certain powers, but then there’s other organisations that have power in their as well. So, the ACT government had given it the green light. Spilt Milk was occurring on land that was managed by the National Capital Authority, which is an organisation that operates in the ACT that doesn’t have to answer to the territory government. It answers to the federal government, and manages parcels of land throughout the ACT. We’ve seen this sort of thing before. John Howard did the same thing when a heroin prescription trial was going to happen in the ACT. And there’s a few other instances of this sort of thing. But, that was what happened. They just cut it off because they had the power to. But, you’d like to see a move beyond harm reduction methods, such as pill testing or drug checking, in regard to drugs like MDMA and cannabis. What sort of alternative system would you like to see established? Under prohibition, we’re always fiddling around the edges of the harms associated with these substances. We can almost never talk about the benefits. I’m not just talking about the medical benefits, of which there are organisations, especially in the US, looking to get MDMA up as a treatment for post-traumatic stress disorder (PTSD). 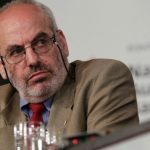 But, I’m talking about the sort of benefits that you will see politicians happily discuss in terms of alcohol regarding its social benefits, economic and business benefits. These sorts of things are happily discussed. I’ve seen it before in the Victorian government’s most recent report on drugs. The minister was praising the alcohol industry for all the great cultural and community things that it does for Victoria, while in the next paragraph condemning evil drugs that are always bad 100 percent of the time. And that’s not the truth. We know that alcohol is one of the most dangerous drugs. We know that the better way to get through to people is education and to put our money into health and welfare. Rather than trying to arrest and coerce them into making a decision that they might not want to make anyway. A far better model is a regulated model. Over the past hundred years or so, we’ve learnt a lot of lessons with the alcohol and tobacco industry that we need to take into consideration with any psychoactive industry that’s for recreational or personal reasons. I wouldn’t want to see the wide sponsorship and advertising that the alcohol industry engages in for example. You’d want to have an industry that was set up to put the money straight back into educating people about drugs, into research and into welfare for the small percentage of people that do struggle from time to time. You’re the co-founder of the Australian Psychedelic Society. Can you tell us a bit about what your organisation is advocating for? The Australian Psychedelic Society advocates for the psychedelic community in Australia. The Australian Bureau of Statistics measures psychedelics as hallucinogens, which is a broad category that includes other substances. They estimate 1 percent of the Australian population has used a psychedelic regularly. And 10 percent have at least used one. So, we advocate for these people. There’s hundreds of thousands of people across Australia who have used, or do use, psychedelics substances. It’s not just the substances, but the experiences as well, which we think are important to discuss, explore and research. There’s a couple of things that we want to focus on. There’s encouraging local research, which we think needs to happen. There has been research into psychedelics and there is interest locally. But, unfortunately, conservative forces at universities have stood against this sort of research happening. We also want to see an end to the incarceration of people who use psychedelics and the charging of these people. All these punitive measures that are put onto the community for nothing more than using or possessing a psychedelic substance. Over the past year, we’ve been running events in both Melbourne and Sydney. And we’ve heard a number of stories from people who have gone through hell, because they were caught with some psychedelic substance. One friend was caught with some mushrooms and ended up in Tamworth prison. He ended up with an opiate substance issue, because of the stress that he underwent in gaol. It was easier to get more dangerous drugs in that gaol, than on the outside. That’s just one story of many. But, people don’t usually want to talk about these things. They’re scared. They’re usually professional people, as well as people with families. These are good upstanding members of the community. They’re people who don’t want a charge to ruin their life, so they’ll do whatever they can in the court system to make the punishment as little as possible. But, the problem is that they shouldn’t be getting punished in the first place. And the punishment creates more trauma for the people and the community, then the trauma they’re supposed to be trying to stop from drug use in the first place. Education, advocacy and building connections in the community is what we’re advocating for. Because we do have a vast and diverse psychedelic community in Australia that has been here for 50 years or so. But, there’s been underground use going on for much longer. In the future, we’d also like to probe any psychedelic cultures there might have been in Indigenous communities in Australia. Because, we now of a lot of local plants and fungi do have psychedelic effects. And it’s been hinted that they may have been used in Indigenous ceremonies. And may still be used today. Increasingly, psychedelics are being used in the treatment of mental illness around the world. As you mentioned, in the US, they’re using MDMA in the treatment of PTSD. What other sort of breakthroughs are being made with the use of these sorts of substances in mental health care? There’s a number of things that are being explored. None of them are definitive yet, other than MDMA for the treatment of post-traumatic stress disorder. That’s going through the FDA process in the US at the moment. And it’s highly likely to succeed in the next four to five years. But, one of the things that has been explored is using psychedelics to break addictive patterns to other substances. So, some of the psychedelic experiences help to pull people out of habitual behaviours that are quite damaging. Also, there was a study in the US, using LSD to treat end-of-life anxiety in terminal patients. A lot of psychedelic treatments are quality of life issues. So, they’re not necessarily something that is going to heal a broken bone or grow your brain back. Although, there are some pretty interesting things with the psilocybin in magic mushrooms to do with brain cell growth. But, it’s quality of life. And a lot of the exploration needs to be done on what it is about the psychedelic experience, which often manifests itself as a mystical experience that we’re more used to seeing from the religious and prophetic communities. Something about that experience seems to help pull people out of patterns that they knew were not advantageous, but were difficult to get out of. Because it’s very easy to get into a pattern and you just keep going, because you’ve got to go to work, and you’ve got to get money. And lastly, Australia is lagging behind other countries in the field of treating mental health issues with psychedelic substances. What sort of changes do you think have to take place in Australia in order to see this country catch up with this burgeoning field of medicine? There’s one organisation,Psychedelic Research in Science and Medicine, or PRISM, that is really advocating for psychedelic research in Australia. There’s also a number of other individuals who are either working by themselves or in collaboration with other researches, including those from PRISM, to get the research happening. The problem doesn’t seem to be a financial one. The problem is in actually getting the study through all the doors that you have to go through when you’re getting a study up at a university. There’s a number of people who need to give their stamp of approval, and there’s just a small amount of people who are able to say yea or nay on these things. And at the moment, there’s a lot of nay. It’s frustrating because we know there’s a lot of good research out there, and we know these are talented scientists looking to do this work. But, we also know that it is back on us, the psychedelic community, to educate people better. And to start countering some of the myths in the media. We want to have informed voices as well. We need to meet with politicians, community leaders, and people who are heading up institutions, like universities, and discuss the potential benefits. So, there’s a lot of work that needs to be done. And that’s something we are looking at doing at the Australian Psychedelic Society. Nick, thanks very much for taking the time out to have this chat with us.